The ghostly green glow at the very top of this image reveals the presence of 46P Wirtanen – a relatively small comet with an estimated diameter of 1.2 kilometers. Had the path of history taken a different course, we would have much more than estimates about this Jupiter-family comet. Completing one full orbit of the Sun every 5.4 years, 46P/Wirtanen was the original target of ESA's Rosetta spacecraft. With the original launch window missed, the now famous comet 67P/Churyumov-Gerasimenko instead became the first ever visited by a human spacecraft and probe. Five years ago this week, on 20 January 2014, Rosetta's internal alarm clock woke up the spacecraft following a 31-month deep-space hibernation. In one of the most exciting moments for Rosetta scientists and mission operators on Earth, the spacecraft called back home confirming everything was working fine and that it had survived the most distant part of its journey. The recent visit of 46P Wirtanen reminds us of the remarkable achievement that was the Rosetta mission, the dynamic nature of space exploration and the flexibility of mission teams who seamlessly moved from one green and remote Solar System comet to another, rubber duck shaped body. 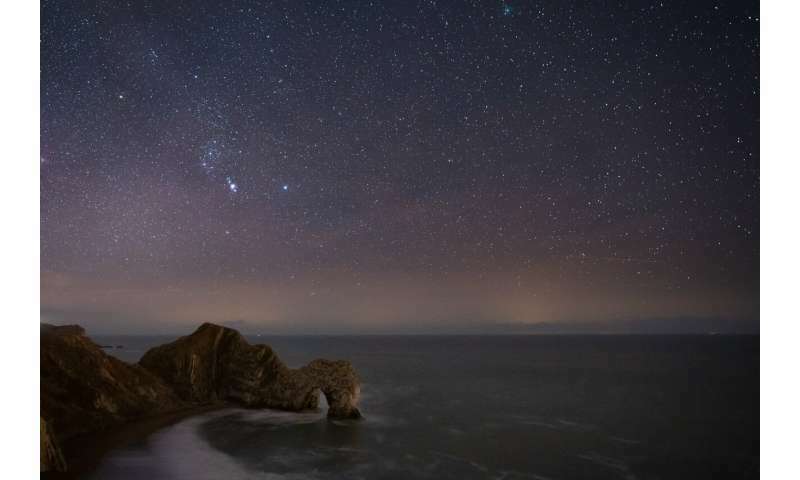 This stunning photo was taken by photographer Ollie Taylor over the famous 'Durdle Door' rock arch on the Dorset Jurassic Coast, on the evening of 9 December 2018. Check out more of Ollie's images on his website, www.ollietaylorphotography.com.